Remake Rumble…? More like Remake Execution. So, against my better judgment I’ve decided to do this particular Remake Rumble! I guess it wouldn’t leave my mind until I had seen it through. Read, and feel the frustration! The definition of a revenge tale, beautifully savage and cynically dark in humour, Oldboy is one of those films that gets better and better each time you watch. A drunken, hopeless father is abducted on his daughter’s birthday and imprisoned in a room for fifteen years. When he is mysteriously released, he swears vengeance on whoever took his life away. It is hardest to write a review of a film you like so much. 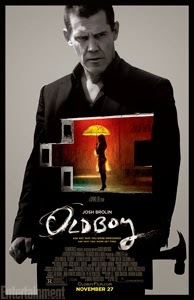 If you look at Cinema Cocoa’s first post, you will find Oldboy makes the twentieth spot on my top fifty films, yet I don’t remember how I came by this film originally. All I do remember is the impact it left on me as a piece of film making! Directed by Chan-wook Park, Oldboy crams almost every facet of revenge into its two hour runtime and packages it with great cinematography and a wonderful score. With Min-sik Choi as the leading man providing a great range of acting talent, there’s a fantastic sense of dedication and integrity to the film. But praise doesn’t stop there. The film is remarkably well paced for how many scenarios it plays out and how complex the screenplay becomes. Like peeling an onion, every scene and every set piece has a purpose to unlocking the mystery behind our hero’s plight, the writing just dropping enough hints that… if you are clever enough and reading between the lines… audiences can start to puzzle it all together. I’ve seen this film at least three times now and it is safe to say I appreciate more and more each time! How much longer can I gush about a film? Not much longer as I don’t want to spoil it by telling you too much. The film has a surrealist edge, though like the violence it is somewhat restrained in preference of a calm, methodical dive into madness. At times Oldboy just seems like a casual stroll with morose, almost reluctant tones, and I think that’s why I enjoy it so much; while the violence is visceral at its heights, it isn’t a slasher movie… it is a thriller. 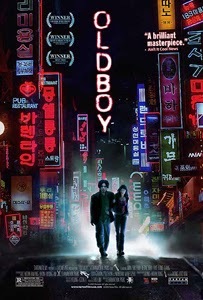 With a screenplay so layered and mysterious, with acting both subtle and outrageous, intense action and a script both comic and horrible, Oldboy offers everything and fails at none of them. By the end your mind will be bruised and sore from the ordeal, yet amazed at the masterful execution of it all! Spike Lee directs a watery, shallow remake of the cult Korean film. Josh Brolin weeps, and Josh Brolin weeps alone. A drunken father and failing husband finds himself imprisoned for twenty years in a mock-up hotel room. When he is released he aims to clear his name, reunite with his daughter and find whoever locked him away for so long. Initially, I had some hope this film would be just “average” and not the train wreck I feared; Josh Brolin is probably the best American to fill the acting range and physical ability to fill Min-sik Choi’s formidable shoes, and automatically I knew (mostly from having such an indepth understanding of the original) how this American version’s twist ending would differ. It seemed vaguely promising. But almost like a reversal of the original film, where it gets better and better, this film gets worse and worse… and worse. None of the original’s black humour is present, none of it, unless you count laughing at all the wrong parts to be edgy comedy. The editing is terrible, what was Spike Lee doing with this?? It has zero gravity or atmosphere, and feels more like running through a checklist of requirements such as the shoehorned nods to the original like… showing us an octopus! For no reason! The characters even act unnaturally in scenes just to have a shot framed like the original! Then… there’s the hammer scene. Badly choreographed, badly structured… it pales in comparison. Part of what made the original so interesting was how interwoven its screenplay became as you watched the puzzle unlock, but here, there’s none of that, it just plods along like any other cliche hostage movie. Oh, but we have Samuel L. Jackson, and he swears a lot! Is that… supposed to be the humour coming through? Having an actor playing the same role he plays in sodding everything he’s ever done? There’s Sharlto Copley. The guy who used to be cool from District 9. Good… lord. So, this film becomes something of a “who done it?” in the second act, Brolin’s Joseph is trying to find who had imprisoned him. He gets a phone call from Copley’s Adrian who is putting on the most generic, cringeworthy, stereotypical upper-class British accent you can fathom! Good god, Spike Lee, what… This is NOT acting, this is hamming it up! I swear, at the end of this film, he is walking around like Nosferatu! Sorry, I will try to regain my composure. America’s Oldboy could have been quite interesting had it distanced itself more from the original, what we get it something lost in translation, like an abridged version or worse: a parody. I think what damages it most is its finale, and its villain’s motivations… or rather lack thereof. Even the violence is toned down, I even saw a computer generated blood splatter. Seriously? Though the sexual content was higher than expected, given how America hates that sort of thing. Additional Marshmallows: Why one full, happy, marshmallow-filled cup of cocoa? You ask? Josh Brolin… and the sliver of original thought that was buried under the nonsense of abusing someone else’s original idea.